VIEW ALL WHAT'S NEW ? 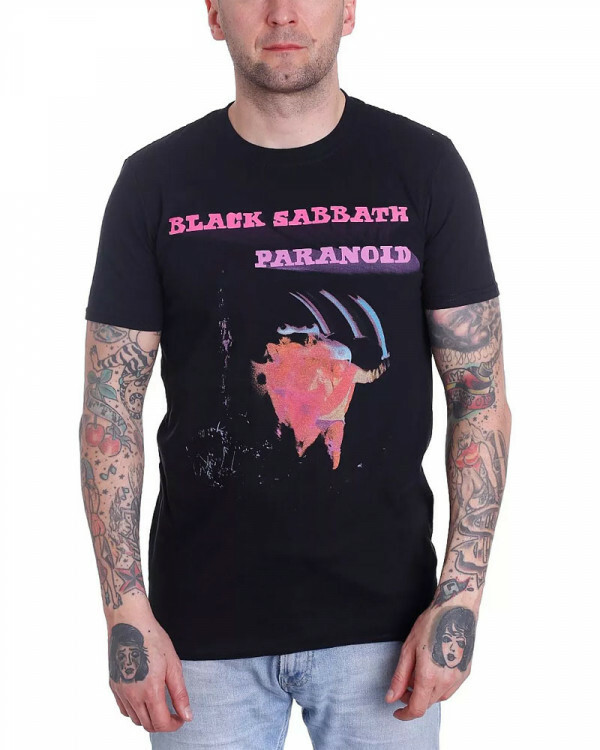 Paranoid was not only Black Sabbath's most popular record (it was a number one smash in the U.K., and "Paranoid" and "Iron Man" both scraped the U.S. charts despite virtually nonexistent radio play), it also stands as one of the greatest and most influential heavy metal albums of all time. Copyright © 2017 BS Productions Limited. Small Chest = 45 cm; Length = 70 cm. Medium Chest = 50 cm; Length = 73 cm. Large Chest = 55 cm; Length = 76 cm. X-Large Chest = 61 cm; Length = 79 cm. © 2005 - 2019 CV. Rockstar City.